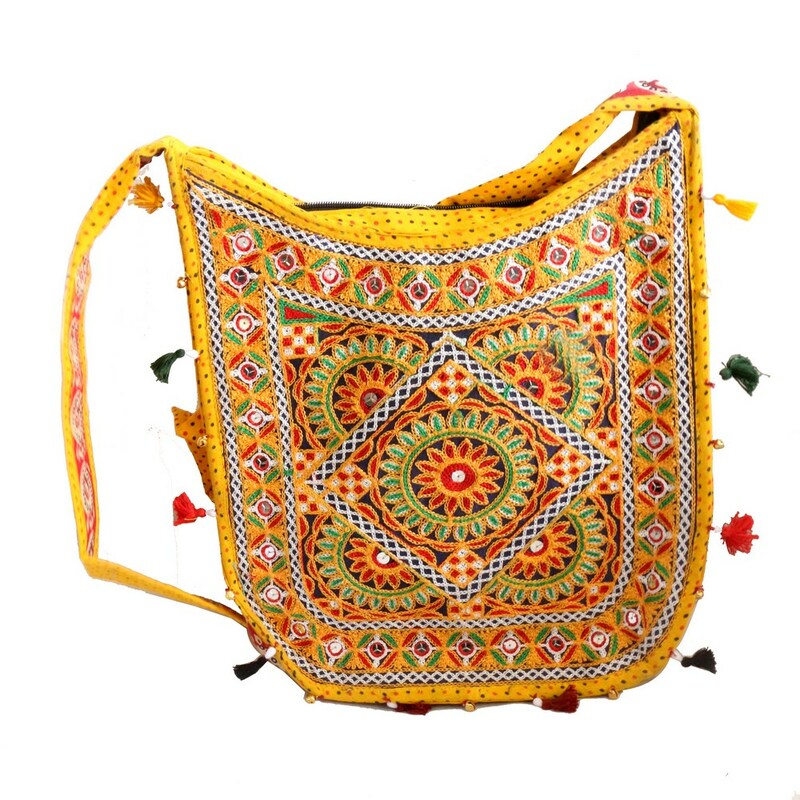 This exclusive designer bag is detailed with handcrafted embroidery designs. This yellow hand bag is appropriate for ladies to carry for shopping, work as well Read More..as for style. This bag comes with a well designed sling with broad band for comfort. The multicolor designs play well with the simple base. Show Less..